 Speakers at Smarter Travel LIVE! Speakers are shown in the order they confirmed... This page is currently under development. Steve Yianni was appointed as Chief Executive Officer for the Transport Systems Catapult in 2013, following a successful career at Network Rail, JCB and the Ford Motor Company. With an Engineering Degree from the University of Cambridge and a Masters degree in Business Administration from the London Business School, Steve is a chartered engineer and a fellow of the Institution of Mechanical Engineers and Royal Academy of Engineering. Steve chaired the cross-rail industry Technical Strategy Leadership Group between 2010 – 2012 and is now Chair for the Intelligent Mobility Planning and Action Co-ordination Team (IM-pact UK) which is made up of senior members from the Automotive, Telecoms and ICT sectors supported by the DfT and BIS. The group are working together to understand the current capabilities in the UK for Intelligent Mobility and the future needs of the industry to maximise and exploit the market opportunities available. Paul has a PhD from York University Computer Science Department, has founded and managed two high technology start-ups and spent two years working for Advent Venture Partners, a leading UK venture capital company. Following this he spent 5 years as a Technology Fellow at BAE Systems Advanced Technology Centre with a remit that crossed a wide range of technologies. Paul is now Chief Technical Officer at the Transport Systems Catapult, part of a network of physical centres where the very best of the UK's businesses, scientists and engineers work side by side on late-stage research and development - transforming high potential ideas into new products and services to generate economic growth. John Miles is a Fellow of Emmanuel College, Cambridge and is the Arup/Royal Academy of Engineering Professor of Transitional Energy Strategies at the Department of Engineering. His special interests include the technology and economics of future transport systems, with a particular emphasis on energy efficiency and environmental impact. Recent research and consulting appointments have included substantial work in the areas of electric vehicles and their charging infrastructure, the development of wireless electric charging systems for small and large vehicles, the design and operation of electric buses, and the exploration and demonstration of autonomous systems for personal and public transport. John is a member of the UK Automotive Council and was founding chairman of the Council’s Working Group on Intelligent Mobility, where he was responsible for the production of the Council’s Intelligent Mobility Technology Roadmap and several reports on Intelligent Mobility. John is currently a member of IM-PACT (the UK Intelligent Mobility Planning and Action Co-Ordination Team) and is chairman of the IM-PACT Cities and Supporting Infrastructure Working Group. Thomas joined Arriva in 2004 as an Executive Assistant and quickly grew with the company as it successfully expanded across Europe. In 2007 he was appointed Business Development Director of Arriva Scandinavia, before being promoted to Commercial Director in 2008. As Commercial Director, he was responsible for the Arriva acquisition of Veolia in Denmark and the successful awarding of the Jutland rail franchise, before leading Arriva’s entry into the public transport market in Stockholm in 2009. Following Deutsche Bahn’s acquisition of Arriva in 2010 and the decision to have two separate management teams in Denmark and Sweden, Thomas was appointed Managing Director of Arriva Denmark. In 2014 he was appointed Director - Business Excellence for Arriva Group and is a member of the Executive Committee. Richard is internationally recognized as a leading expert in Intelligent Transport Systems and responsible for a range of activities including business development, industry relations, strategy and thought leadership. Within ERTICO – ITS Europe, Richard Harris is a member of the supervisory board, the strategy committee and the chairman of the travel and traffic industry sector. He is also the international director of ITS UK, a member of board of directors of the International Road Federation, and represents the UK in the World Road Association. He is a founder member and director of the recently launched Mobility as a Service alliance. He was awarded the 2010 ITS UK Rees Hill Award for outstanding contribution to ITS by a UK professional. Richard was inducted into the ITS World Congress Hall of Fame in Bordeaux as the recipient of the life time achievement award. As a consultant in Atkins’ Intelligent Mobility team, John draws on a range of experience across the land use planning, highways and rail sectors to understand how new technologies, innovations and changing user behaviour will influence future mobility systems. John’s current areas of interest relate to connected and autonomous vehicles as well as the emergence of Mobility as a Service. Within the agenda of Intelligent Mobility, John takes a keen interest in the end user, and believes a user-focused approach is vital for successful delivery. John is actively involved in business development, project management and thought leadership, having authored and co-authored a number of papers and articles on a range of topics. Neil Taylor is an Associate Director at ITP and has over 12 years’ experience of transport planning and research project delivery. Drawing on a degree in Human Geography, and deep understanding of social and behavioural research techniques, his professional interests include; transport policy-focused research, inclusive mobility for disabled and older people, smarter/active travel, and data-driven intelligent mobility. Recent projects Neil has been involved in include: a review for the Transport Systems Catapult of the data sources that are expected to power intelligent mobility services in the future, exploring accessible taxi rank design to inform an audit of all 600 ranks in Greater London for TfL, outcome and impact evaluation for the Nottingham LSTF programme, and a public transport system optimisation review in Kyiv on behalf of the City Administration and World Bank. Away from the office Neil enjoys cycling, walking, football, badminton, photography and music. Jillian Anable is Professor of Transport and Energy at the Institute for Transport Studies, University of Leeds. Her research addresses the potential for demand-side solutions to reduce carbon and energy from transport, focusing on private travel behaviour, car ownership and vehicle choice. Her expertise includes the evaluation of smarter choice interventions including understanding different impacts on different market segments. She has authored or co-authored over 50 academic peer-reviewed journal articles and research reports with projects funded by UK Research Councils, the UK Department for Transport, Scottish Government and the European Union. She has sat on a number of advisory boards and strategy panels for UK Government Departments, National Research Councils and NGOs, including the RCUK’s Scientific Advisory Committee on Energy, The Commission for Integrated Transport, Greener Journeys, Carplus and the Campaign for Better Transport. She is a founding editorial board member of the journal 'Energy Efficiency’'. Christy is the Project Manager for Living Streets in the Midlands. Christy has a passion for people, places and change making and enjoys playing his part in helping people to improving their neighbourhoods and getting more active. Christy manages a number of staff and projects in the Midlands. These include our Ageing Better programme in Leicester, our national Walk To programme in Birmingham and Leicester, our Schools Outreach programme in Bristol, North Lincolnshire and West Yorkshire and Walk Norwich in Norwich. Christy also managed Living Streets’ Walking Cities programme (Department of Health funded) in Birmingham, Norwich, Leeds and Bradford up until Summer 2015. Rosslyn leads a talented team of active travel professionals and enthusiastic volunteers in the North of England (North West, North East, Yorkshire and the Humberside). Rosslyn and her team are responsible for delivering cycling and walking projects, looking after cycleways and footpaths and advocating for the choice to travel by foot or bike for everyday journeys. She is currently using her leadership experience to help Sustrans prepare for a future where the economic, health and environmental benefits of our projects are more vital than ever before. Tim Fitches is Impact and Evaluation Manager at national walking charity Living Streets, where he oversees monitoring and evaluation for a range of walking projects targeting schools, workplaces and community groups. For the recently-concluded Walk to School Outreach programme, he coordinated a number of evaluation activities including a mixed methods longitudinal evaluation, social impact study, modal shift monitoring, and a comprehensive economic appraisal. Prior to this he played a key role at Natural England evaluating the national Walking for Health programme. Before this he spent ten years telling people to play more sport at local, county and regional level. He’s not sure if it worked. Carragh Teague has worked for Transport for Greater Manchester for two years in the role of Walking Coordinator. As part of this role, Carragh heads up the Walking Workplaces initiative which involves supporting 450 businesses across Greater Manchester. This involves encouraging employees to incorporate more walking as part of both their daily commute and working day. She is currently organising the 2nd Greater Manchester Walking Festival which takes place throughout May, working with walking groups, charities, schools and businesses, and which is aimed at getting residents of Greater Manchester out walking more and joining walking groups, whether for health reasons or just for fun. Stephanie joined ITP in 2010. Over the past five years she has applied her skills in transport research and evaluation to a range of qualitative and quantitative transport research projects for international funding bodies, UK government departments and local authorities. She is actively involved with a range of project areas but specialises in behaviour and engaging with organisations to deliver social marketing campaigns to promote sustainable transport. Since 2012, Stephanie has been responsible for managing the delivery of ITP’s work for Suffolk County Council’s LSTF programme ‘Lowestoft Local Links’. In this role she has managed multiple engagement work streams to deliver one of the UK’s most successful business travel networks. In June 2013 the project received the sustainability award from the Chartered Institution of Highways and Transportation and in October 2015 was ‘Highly Commended’ at the National Transport Awards. Laura Wells is a Senior Transport Planner in Atkins’ London Travel Demand Management team. Laura manages the business engagement project as part of the Smarter Travel for Slough LSTF programme. Laura also specialises in development-related travel planning, stakeholder engagement and wider transport planning projects for a range of clients. A project/programme manager by profession, with over 15 years in the local authority sector. Verity's sustainable travel journey began when she was initially given the challenge of delivering the West of England Partnership’s LSTF Key Component project in 2011, up against very tight delivery and funding timescales. After a successful main LSTF bid in 2012, she took on the management of SGC’s 3 year LSTF programme. The LSTF programme was then extended for an extra year with the 2015/16 LSTF extension. Verity is delighted to have led a highly successful team who have introduced a number of exciting new events and initiatives including the Filton Commuter shuttle and South Gloucestershire’s first ever cycle powered cinema. Join my journey is a great example of a local authority working creatively with the private sector, tacking barriers to address shared concerns for the benefit of the business community and local residents. As Founder/Director at mobile app developer Base, Tom is building the capability and space to accelerate disruptive digital products to market. Tom's career in creative technology roles started 18 years ago, less than half a mile from Silicon Roundabout in London's now tech startup epicentre. In July 2015 Tom was awarded an Innovate UK Knowledge Transfer Partnership (KTP) with Bournemouth University's Data Science Institute, to further develop Base's machine learning and big data analytics capability. Tom has just launched Passenger, a product capturing 7 years experience of working with UK bus operators in an integrated mobile app ticketing, content and data management platform for their marketing teams. At a pivotal time for public transport, Passenger (under new co Passenger Technology Group) combines mobile ticketing, real time departures, network information, journey planning, and disruptions management into one platform for operators. For their customers it provides the single integrated touchpoint that the customer experience badly needs. Luke is an experienced designer, researcher and tutor. His design work has a transport focus and included the design and management of a range of projects including vehicle, industrial, medical, electronic and packaging. User centred design underpins his research which began with a Design Research PhD by project that investigated that in spite of demonstrable improvements in bus services, travel by bus remained unpopular for certain socio-economic groups. The project explored the role design and research has in closing the credibility gap and creating a better perception of the bus. Prior to his PhD within the Vehicle Design department at the Royal College of Art he studied Industrial Design at Brunel University then gained an MA in Automotive Design Research with distinction from Coventry. Antonia manages Bikeplus a new project supporting the development of bike share and the Shared Electric Bike (EAPC) Programme. She has 15 years experience working in the field of sustainable transport. Antonia was part of the team which set up Carplus in 1999 and spent 10 years helping to nurture the newly emerging car club industry, developing the information programme and accreditation scheme amongst other projects. For the previous 5 years Antonia managed the Active Travel Project promoting walking and cycling at the Universities and Hospitals in Leeds for Sustrans. Meera Rambissoon is a passionate advocate of public transport with a well-respected reputation in the bus industry, from five years as a journalist for trade press magazines and seven years lobbying to boost bus and rail services and influence policy. Meera joined passenger transport specialists, The TAS Partnership in 2013 where she carries out research, analysis and project-work as a Senior Consultant. As well as profile-raising work for the UK Bus Awards scheme, she has carried out bus passenger surveys, including design and results analysis, for a range of bus operators and stakeholder consultation to inform the development of Best Practice Guidance for the DfT on Bus Partnerships. She also sits on the committee of the Transport Practitioners’ Meeting (TPM) run by the PTRC. Before joining TAS, Meera was Campaign Manager for bus industry alliance, Greener Journeys where she helped to promote evidence proving the economic value of UK bus services. Paul joined Trapeze Group in 2008 and is currently Product Manager for their Passenger Information portfolio. He also sits on the Management Committee of the Real Time Information Group (RTIG) and a regular contributor to both RTIG and ITS(UK). Paul's career in public transport started back in 1996 as a Project Manager for ACIS (now Vix) in the fledgling RPTI industry. In 2003 Paul joined Atkins who were then suppliers to Traveline and had just been awarded a contract to provide software components for Transport Direct. John is an expert in public transport systems. He has extensive experience in developing passenger information systems for local authorities and passenger transport executives. His experience includes business cases, tender specifications and evaluation, implementation and testing. He has worked with Centro and SYPTE to implement technology elements of their Local Sustainable Transport Fund (LSTF) programme including totems and tram stop displays. John is also developing international experience - he spent nine months working in South Africa developing the systems for a bus rapid transit project including the Contactless EMV Fare System, passenger information, vehicle tracking and security systems. More recently, he has been acting as an expert review for the Jeddah Metro project. The multi-billion pound project will see the introduction of a new tram, train, bus, ferry and metro system for a city of two million people. John’s role is to oversee the development of the safety, security, payment and passenger information systems for the project. Mark leads TTR’s Sustainable Mobility division and has over 15 years of experience in delivering transport related projects and providing advice to clients. He has extensive experience as a Project Manager, Systems Analyst, Team Manager and Account Manager for DfT, large local authorities, PTEs, large bus groups and Transport for London. He also has extensive management experience, including as Business Unit Director for Trapeze Group (UK). He has been involved in a number of European projects and supported a range of UK public and private sector bodies with advice on accessing EC grant funding for sustainable transport projects. Jim is a Director of ITP with over 20 years’ experience in the design, delivery and evaluation of sustainable transport strategies and area-wide travel behaviour change programmes. He has provided advice to government departments, Passenger Transport Executives, regional agencies and local authorities in the development and delivery of sustainable transport solutions. He has worked with prestigious private sector companies including B&Q and British Telecom on travel planning assignments and has managed European research programmes in support of sustainable transport policies. More recently he has initiated LSTF funded area-wide sustainable travel initiatives in Hertfordshire and Dorset working in partnership with the business community. He is a Member of the Market Research Society and is Secretary of the Ten Percent Club group of senior professionals from the bus industry. Michelle Cameron is the Sustainable Business Lead for Liverpool & Sefton Chambers of Commerce, supporting local employers, particularly small and medium sized organisations, to develop their sustainable business strategies. Working with a range of partners including Merseytravel, the Chamber also promotes the benefits of sustainable transport solutions to address a range of issues which impact on business including levels of sick absence, impact of high travel costs for those in low pay, the “green” supply chain, business resilience and employee benefits. Prior to her post in the Chamber, Michelle headed up the Transport Team in Government Office North West, working with local transport authorities and other partners to raise awareness of transport and highlight the links with health, education, environment, employment and business. Kate Gifford is a Chartered Town Planner with thirteen years’ experience in the transport planning industry. Before joining Carplus, Kate was a Principal Consultant at Steer Davies Gleave, specialising in advising public sector clients on strategy development and gaining funding for transport schemes. In her role as Assistant Director at Carplus, Kate is responsible for the evaluation and monitoring of the funding programmes which Carplus delivers. She also leads on the development and delivery of the Carplus Annual Survey of car clubs. Kate ensures that Carplus meets the reporting requirements of both the Carplus Board and key funding partners (the Department for Transport, TfL and Transport Scotland) and also develops and administers the car club accreditation scheme. Lucy is a Senior Consultant at AECOM with over 7 years’ experience in Transportation Planning with expertise in the design, implementation and evaluation of Sustainable Transport studies covering Smarter Choices, Behaviour Change, Active Travel and Personalised Travel Planning. She has a combination of industry qualification and hands-on experience of behavioural change techniques, several of which she has project managed with success and with tangible benefits. Lucy has gained experience across both the public and private sector, most recently as an integral member of Cheshire West and Chester Council’s £4.6m Local Sustainable Transport Fund programme. As Smarter Travel Officer, Lucy was at the forefront of shaping and delivering ‘Connect to Jobs’. Lucy continues to be heavily involved in delivering Cheshire West’s 2015/16 LSTF Programme, ‘Connecting the Atlantic Gateway’ through secondment. In her spare time Lucy enjoys walking and cycling and has an enthusiasm for healthier and greener ways to travel. Dr Miriam Ricci (PhD Innovation Studies, MSc Physics) is a Senior Research Fellow at the Centre for Transport and Society, UWE Bristol. Her key research interest is sustainable and equitable urban mobility and she has extensive expertise in transport policy evaluation, innovative vehicle technologies and shared mobility. Additionally, Miriam has recently conducted a qualitative study of transport disadvantage and social exclusion in a deprived neighbourhood of Bristol. Some of her past research explored risk perception and public engagement with hydrogen energy and other low-carbon technologies. Miriam’s ongoing and past research projects include: VENTURER, the driverless demonstration project in Bristol (funded by Innovate UK); EVIDENCE, a review of the benefits of Sustainable Urban Mobility Plans (Funded by the European Commission); the development of evaluation plans including the identification and monitoring of sustainable mobility indicators to measure economic, environmental and social impacts (CIVITAS Renaissance & West of England Local Sustainable Transport Fund). Matthew is an Associate at Steer Davies Gleave and a specialist in understanding the market for Urban Mobility and how this is likely to differ by demographics and geography. He has experience advising a wide range of clients on the market for car clubs, bike sharing and other emerging modes such as shared EVs. He is also experienced in research to develop an evidence base with regards to the policy benefits of shared transport. Clients he advises include City Governments, Central Governments and Transit Authorities. He has experience undertaking this work across the UK, in the US and Latin America. Tim Caswell is owner and Managing Director of Hourbike Ltd. Hourbike was born from Tim’s former work and expertise within the Travel Planning industry. Working with companies such as BAA and GSK to develop travel behaviour change programmes, it became apparent that there was a growing need for automated bike hire schemes to solve real and growing environmental, health and transport concerns. Hourbike has worked closely with Homeport since 2007 to develop the current automated bike rental solution, which is deployed in over 12 cities and 6 EU countries. Hourbike currently manages approximately 2000 bikes over 8 automated bike rental schemes in the UK. Ian Patey is the Head of Profession for Mouchel Consultancy. He is responsible for technical excellence across the business – being known for excellence and, ensuring excellence in delivery. He was instrumental in the establishment and growth of Mouchel’s ITS consultancy business and in 2007 he was appointed as the business leader responsible for the growth, direction and success of the business. He is the Vice-Chair of ITSUK and the Chair of ITSUK’s Connected Vehicles Interest Group, and a UK Representative on the World Roads Association. Ian is a Fellow of the Institution of Civil Engineers. Ian continues to play a leading role in the development and implementation of Smart Motorways in the UK – which started in 2001 with his leadership of the Operational aspects of the ground-breaking Active Traffic Management Pilot. He is a Director of NIS Ltd, the joint venture between Mouchel and Thales which operates and delivers the National Traffic Information Service for Highways England. Alan Stevens is Chief Research Scientist and Research Director, Transportation at TRL where he has been working on the application of new technology to transport for more than 25 years. Alan is Chair of ITS (UK) and an active participant in the Institute of Engineering and Technology, the European iMobility forum and IBEC (International Benefit Evaluation and Costs collaborative group). He holds a PhD in imaging, and is a Chartered Engineer and Fellow of the IET as well as a Visiting Professor at the University of Southampton. Alan’s main research areas are driver information and assistance systems, cooperative and automated road vehicles and “Human-Machine Interaction” (HMI). Alan has led or participated in C-ITS projects involving evaluation of benefits and development of deployment models. His consultancy activities focus on providing advice on policy and interoperability issues to Government, developing research programmes and carrying out specific technical and commercial studies in ITS. Matt Croucher is WSP | Parsons Brinkerhoff’s specialist lead in sustainable transport, with particular experience in promoting walking, cycling, improved urban realm, public transport, low emission vehicles, car clubs and urban mobility. He works to enshrine the principles of sustainable transport within local and regional planning policy, developing solutions through to early feasibility. He leads a virtual team of sustainable transport practitioners across the UK. His role includes the promotion of our sustainable transport expertise, business development, dissemination of best practice, and regularly speaks at conferences and technical forums. Matt has developed an expert knowledge of the emerging electric vehicle sector, having managed a series of pioneering projects for Transport for London and London Boroughs since 2010. Following 12-years as a Weapon and Systems Engineer Officer in the Royal Navy, Gary joined the software engineering company SystematicA as Customer Support Manager in 1989. Joining Siemens in 1994 as a Project Engineer and later Project Manager, Gary delivered Urban Traffic Control Systems in to the UK and Middle East before being appointed as Product Manager for the Siemens Urban Traffic Control and Bus Real Time Information Systems. Joining Marconi in 2000, Gary gained experience in communications systems relating to traffic and public transport systems. Gary joined Mott MacDonald in 2002 as an Associate Director and later promoted to Divisional Director. Between 2008 and 2010 Gary headed-up Mott MacDonald’s Intelligent Transport Systems business in the Middle East based in the United Arab Emirates. In April 2010 Gary was appointed as General Manager of Hogia Transport Systems Ltd. to lead Hogia’s transport business interests in the UK. Gary has also been an active participant in the development of ITS standards and the promotion of ITS in the United Kingdom and the Middle East. Gary was one of the four original Founders of an industry forum to develop a standards-based approach to ITS in the public transport industry, which in time became the Real Time Information Group (RTIG). Gary also worked on the UTMC (Urban Traffic Management and Control) Standard and chaired the Technical Working Group, which successfully resolved the UTMC Version 1.8 incompatibility issues and delivered Version 2 of the UTMC standard (as documented in the UK Government’s Department for Transport documents TS003 and TS004). From November 2005 to 2007 Gary served as Chairman of the UTMC Suppliers Forum (USF) providing continuity in the representation of supplier views and needs within the UTMC community and overseeing the successful merger of the USF with the UTMC Development Group (UDG). Prior to relocating to the United Arab Emirates, Gary was actively involved in the development of ITS through his work on UTMC (including contributions as a Member of the UDG Management Team), as a Council Member of ITS(UK), briefly as Chairman of the ITS(UK) Local Authority Urban Interest Group (curtailed due to the Middle East secondment), and as a Management Team member of the UK Highways Agency sponsored Travel Information Highway (TIH). Once back in the UK, in January 2012 Gary was appointed as Chairman of the ITS UK Public Transport Interest Group and is also the elected Finance Director of ITS UK, and represents Hogia on the ITS UK Council and in the Real Time Information Group (RTIG). Gary is a Chartered Engineer and a Member of the Institution of Engineering and Technology. Marian Marsh is a Transport Planner with Reading Borough Council, working in the field of Sustainable Transport. She also works collaboratively with transport planners across Europe on several EU projects in the fields of public transport, access for people with disabilities and active travel. She previously worked as a Planner in Tyne and Wear, Transport Planner in Sheffield and York, as Rail Projects Officer for WYPTE and a part-time University lecturer at Sheffield Hallam University. She has an MA in Town and Regional Planning and is a chartered member of CILT and RTPI, having previously been a member of the RTPI Transport Panel and the the RTPI Yorkshire Branch Women and Planning Committee. She has travelled extensively across Europe by public transport and is always on the lookout for examples of good planning practice. She has taken part in exchanges with German planners and speaks German fluently. Giles Bailey runs a small consulting company – Stratageeb Limited - which assists a range of businesses and organisations in thinking about innovation and strategy in the changing world of mobility. Clients include transport authorities, the academic sector, as well as small digital businesses to large multi-nationals. Giles lectures on innovation at Universities as well as writes and comments on mobility issues in the UK, Europe and North America. Giles has also spent time board advising new digital businesses in the UK ridesharing market. Giles’ background is at Transport for London where he worked for 20 years including the final 8 as Head of Marketing Strategy & Integration. During his time at TfL, Giles was involved in transport planning, appraisal, open data, partnership, tourism, journey planning and ticketing amongst other issues. Stephen Joseph has been executive director of Campaign for Better Transport since 1988. His wide-ranging expertise and contacts have helped to make the organisation the country’s leading transport NGO. The last 20-plus years have had many highlights for Stephen, including persuading the Treasury to cut the road-building programme in the 1990s, campaigning against the privatisation of the railways and running a Sardine Man campaign to highlight the overcrowded state of this country’s ‘sardine tin’ trains. Stephen was a member of the Commission for Integrated Transport from 1999-2005, having been one of the panel of external advisers on the Transport White Paper 1997-8, and was a member of the Standing Advisory Committee on Trunk Road Assessment (SACTRA) during its inquiry on transport and the economy. He was also on the steering group for the Government’s road user charging feasibility study 2003-4. More recently he has been a member of challenge panels or advisory groups for Government plans on high-speed rail, eco-towns, transport appraisal and the Local Sustainable Transport Fund. He was awarded the OBE (Order of the British Empire) in 1996 for services to transport and the environment, and received an honorary doctorate from the University of Hertfordshire in November 2010. Andy is a travel demand management and behavioural change specialist. During his early career he spent four years in the Smarter Choices team at Hampshire County Council, developing and delivering innovative projects and contributing to wider understanding within the field. He presently leads the Smarter Travel discipline at WSP | Parsons Brinckerhoff with a remit to deliver projects to clients across the UK and internationally. As an experienced professional he takes leading roles in planning, implementing and evaluating smarter travel projects across different sectors. Andy is also a Board Director with ACT Travelwise. Bob Sherman founded and is chair of Harbury Energy Initiative (HEI), a low carbon group in his local community of Harbury in Warwickshire. The group since 2010 has been responsible for many energy efficiency improvements to community buildings in the village. In 2014 HEI secured £18,000 of funding from the DCCE programme to start an electric car club with commercial partner E-Car Club. The club, launched in mid May 2015, has 55 members, who have driven 6,500 miles and saved some 2.5 tonnes of CO2 against a similar petrol vehicle. In November 2015 HEI launched e-Wheels, a project using the club EVs to serve those in the community that cannot afford the normal means of travel. Since October e-Wheels has delivered 120 hours of free transport with financial and in-kind support from Big60Million, E-Car Club and Heart of England Community Fund. Jennie joined ITS United Kingdom, the Intelligent Transport Society for the UK, in 1998. Prior to that, she worked in the City Engineer’s Department at the Corporation of London, the local authority for the “Square Mile” financial district of London. Jennie began her working life with the then British Rail in 1986. Jennie has a BA (Hons) in History from Kings College London, and an MA from the UK’s Open University. She wrote her MA thesis on the institutional framework of the introduction of camera technology for traffic applications in London. She started with ITS (UK) as Membership Secretary, and was promoted to Secretary General in 2004. Jennie is a past Chairman of the Network of National ITS Associations, an organisation of 25 European ITS associations. Jennie is originally from Sweden, but is now a happily naturalised Londoner. Jonathan joined Urban Transport Group (then pteg) in 2003 as Assistant Director, and was appointed Director in 2008. Before that Jonathan’s background was a mix of transport policy and transport campaigning. As a consultant his clients included local transport authorities, the BBC and the Strategic Rail Authority. He was also one of the founders and co-ordinators of the campaign against the national road programme in the early nineties and later led the Save our Railways campaign against rail privatisation. He has also worked for the Campaign for Better Transport on a range of sustainable transport issues. Overall the hallmark of Jonathan’s career has been a steadfast commitment to sustainable and equitable transport policies. This includes playing a major role in some of the biggest battles for progressive change to public policy on transport. Mike Waters is currently Head of Transport Infrastructure at Coventry City Council, a CW LEP Executive and Chair of a West Midlands Integrated Transport Authority work stream which sets policy and strategy for intelligent mobility and connected vehicles. Mike is shortly to take up a new role as Head of Policy and Strategy at West Midlands Integrated Transport Authority and has been responsible for establishing a multi-million programme of Intelligent Mobility projects and public highway based connected and autonomous vehicle projects in Coventry and Warwickshire. Michael holds a diploma in Urban and Regional Planning from the Technical University in Berlin (1984). In his professional career in Berlin, Hamburg, Bonn, Cologne and Bremen, Michael has always worked on the link between urban development, transport strategies and urban lifestyle. Since 1994 he has been responsible at the City of Bremen for projects of sustainable mobility and for many internationally recognised model projects on sustainable transport and environmentally-friendly mobility. Key project elements are the promotion of integrated sustainable transport modes – in concepts of intermodal and co-modal chains – with public transport, taxi, cycling and Car-Sharing (car clubs). In his European projects, he also conducted a workshop about potential and impacts of autonomous transport systems. Bremen is internationally well recognised for its sustainable transport strategies. David has worked on the Cycle Hire scheme for the last 7 years. From its inception, design and procurement into live operational running I have gained a wealth of experience of running the Western worlds second biggest Cycle hire scheme. The scheme has rapidly expanded from its initial fleet of 6000 cycles to the current 12,000 and seen 3 geographical expansion. Jennie Ward is Managing Consultant with Atkins and is part of their Travel Demand Management team based in London. She is the project manager for a range of LSTF led projects for local authority clients including Peterborough City Council and Slough Borough Council with a focus on engagement with businesses and schools. She is also experienced with travel planning projects for private sector clients and other organisations including the NHS. Anthony Baxendale graduated in Aeronautical Engineering from Imperial College and has a PhD in Offshore Engineering from Heriot Watt and an MBA from Henley Management College. He joined MIRA in 1991 and has held a number of roles. Research was at the heart of these roles and he is now Head of Future Transport Technologies & Research at HORIBA MIRA as the company now is following the acquisition by HORIBA in 2015. He is responsible for the delivery of HORIBA MIRA’s research strategy which focuses on low carbon, intelligent mobility and autonomous vehicle technologies. An important part of the research strategy is undertaking longer term research. In collaboration with Coventry University, Dr Baxendale has developed an innovative delivery model whereby university PhD students are integrated into HORIBA MIRA’s organisation whilst preserving the academic rigour of the PhD and the value of freedom to explore new areas. When not engaged in researching the future of transport he enjoys playing the saxophone. Chris Norfield has worked within local government for the past 7 years and is the public health strategist for behaviour change at the London Borough of Hounslow. He is responsible for commissioning behaviour change interventions focusing on physical activity, healthy eating, smoking and alcohol as well as advising on public health policy. Chris is the project manager in Hounslow for the EU SWITCH active travel project which promotes walking and cycling as an alternative to short car journeys. Following graduation from the University of Leeds’ Institute of Transport Studies, Claire has worked in the transport consultancy field for over ten years, and has a wide range of public and private sector experience. She is Transport Planning Professional (TPP) qualified and was named Young Professional of the Year at the 2015 Chartered Institution of Highways and Transportation (CIHT) North East and Cumbria Annual Awards. Claire has worked on the Tyne and Wear LSTF project ‘Go Smarter to Work’ since 2012; having delivered the Business Engagement element of the programme between 2013 – 15, Claire is currently WSP | Parsons Brinckerhoff's LSTF Project Manager for Northumberland County Council, Durham County Council and Tyne and Wear. She oversees delivery of the business engagement and manages four project teams, who are rolling out the WSP | PB LSTF Delivery Model in six of the seven North East Combined Authority (NECA) areas. Claire has also led on the development and delivery of Tyne and Wear’s Workplace Legacy Programme. Bike Life is producing reports of the development of cycling in seven UK cities in 2015 and 2017. Dene combines the input from data and communications experts at Sustrans with that of partner authority staff and other stakeholders from the cities. His previous role at Sustrans was City Regions Development Manager and he brings a range of prior experience from environmental project management and public health. Gordon specialises in the spatial analysis and design of the public realm, working on a wide range of walking and cycling focused projects, from strategy planning to detail design. As a transport planner and landscape architect, Gordon takes a holistic approach to streetscape planning and design. He is experienced in project managing the delivery of street furniture and public realm enhancement strategies, and is currently working with the Royal Borough of Kingston to deliver the ‘mini-Hollands’ transformational cycling programme. He was appointed as a technical consultant for Transport for London’s revised Streetscape Guidance and has worked on several walking and cycling projects across London, as well as in Oxford, Birmingham and Peterborough. Graham Bradley leads sales and business development for INRIX’s traffic and analytics services with Europe’s mobile operators, navigation providers and device manufacturers, as well as with transport authorities and transport consultancies in the public sector in the UK. Graham joined INRIX from on-device portal provider Teleca SurfKitchen, where he led the start-up’s successful European sales efforts, in particular with operators that included Orange, Telefonica and Telesonera. As a mobile internet pioneer with more than 15 years of experience, Graham was part of the team that launched Genie Internet - the industry’s first mobile internet service for BT in 1999. Hannah Budnitz is an independent transport planner with over a dozen years’ experience. She worked as a consultant at Arup, then as a local government officer at Reading Borough Council before deciding to go freelance to pursue her passion for transport planning and its potential to shape neighbourhoods and improve quality of life. She considers her greatest recent achievement to be the implementation of ReadyBike, a 200-bicycle and 29-station public cycle hire or bike share network in Reading, which she managed from feasibility and business case development, through identifying/securing sites and system procurement, to installation and launch. Besides bike share, current areas of interest include transport’s role in improving public health, how shared and virtual transport options are changing the future of transport, and how data and technology enable better outcomes. She considers herself a proud pedestrian, a practical cyclist, an occasional public transport user, and a reluctant car driver. James Ashton is a Transport Planner with over 15 years’ experience in a number of transport related roles. James has recently joined Nottingham City Council from A-one+ where he was involved in the modelling and appraisal of new road schemes for Highways England. As Transport Strategy Manager for Nottingham City Council James’ role is to manage diverse team working towards the delivery of sustainable transport policies and initiatives aimed at enhancing the economic and social conditions in the City of Nottingham. James has particular professional interest in the area of Traffic Modelling and Economic Appraisal. Recent projects James has been involved in include, the development of business case for a major redevelopment of the road network in the Broadmarsh area of Nottingham and overseeing the delivery of improvement schemes through the Local Transport Plan programme. Away from the office James enjoys cycling and rugby and looking after his two young sons. John Bickerton graduated from the University of Bath with MEng(Hons) in Automotive Engineering. After experience with Cosworth and Lotus he joined the country's largest bus operator, First, as a graduate trainee, and spent time in front-line management positions before managing the company's fuel saving strategy and eventually leading the company's technical standards nationally. After twelve years with First, John has recently moved to Reading Buses as Chief Engineer, where he is focused on building fleet reliability and controlling maintenance costs. Reading Buses operates 172 vehicles including 31 hybrid double-deck and 34 CNG single deck vehicles. The company carries 16 million passengers and covers 4.6 million miles each year, and is one of few UK bus operators seeing consistent growth due to a high quality service. Martin Higgitt is an Associate Director at JMP, with over 17 years’ consultancy experience, specialising in sustainable transport strategies and behaviour change programmes. He leads JMP’s “Influencing Travel Behaviour” work area. In this role, he has overseen many of our large-scale community-based behaviour change programmes which have involved Personal Travel Planning, workplace travel planning, school travel planning, marketing campaigns and on-line and social media campaigns. Neal Skelton is the Head of Professional Services for ITS United Kingdom – a ‘not for profit’ association that promotes the use and deployment of Intelligent Transportation Systems - a combination of Information Technology and telecommunications that allows the provision of on-line information in all areas of public and private administration. Neal’s responsibilities include promoting the acquisition and dissemination of technical knowledge between interested industrial parties. He has held this post since retiring from the UK Police Service as a senior police officer during which his varied police career involved a wide range of specialist expertise and experience including managing major events and incidents as well as expertise in counter-terrorist operations. In addition to his police career Neal was seconded to the Home Office’s Scientific Development Branch where he had divers responsibilities across crime reduction technologies, including ITS. Prior to his police service he served as a Royal Marines Commando Forces officer that included active service operational experience. Julian Ashworth is the Travel Choices Manager for Transport for Greater Manchester, and has managed the team delivering business travel advice to over 450 businesses over the LSTF funding period. He has a strong interest in transport and environmental matters, and has worked for 25 years in a variety of transport planning and strategy roles for local authorities in Durham and Greater Manchester. Tamsin Stuart (AECOM) is an Associate Director with extensive experience of qualitative and quantitative methodologies, and specific experience in designing and implementing market research studies about behaviour change. She has over 15 years experienced in designing and implementing social and market research projects within the transportation sector. Over the past year Tamsin has been monitoring and evaluating the Travel Choices PTP programme on behalf of TfGM. Tim has 15 years of experience working in the charity sector focusing on the environment including travel, food, resource management and conservation. Tim worked for the charities Waste Watch and Keep Britain Tidy in a variety of delivery, research, policy and campaigning roles where he set up the Centre for Social Innovation. Following a recent move in 2015 to Bristol Tim now works for Sustrans as a Senior Policy Advisor. Catherine Davie is a Principal Research Officer at the Department for Transport, having joined the Social and Behavioural Research Team in December 2014. Her work currently focuses on public attitudes to transport and she is leading an internal programme of work to embed people centred approaches in the Department. Prior to this she held government social research roles at the Home Office, Department for Communities and Local Government and the Department for Education. She also has voluntary sector research experience, having worked at Shelter, a housing charity, to support policy, campaigns, service evaluation and development. Catherine is a member of Government Social Research (GSR) and the Social Research Association (SRA). Dan has been designing and delivering accessibility planning software solutions for the past 8 years, supplying both software and data to various local authorities and central government departments. Their flagship product TRACC is used by many authorities to provide on-going monitoring of their transportation networks. Dan, also has experience with detailed transportation datasets, having worked in the team that delivered Travelines National Dataset (TNDS) which is now used to power many web, mobile and desktop applications. Emma has a background in both public and private sectors with 12 years experience in the development and implementation of strategies and infrastructure to promote sustainable travel and encourage behavioural change. Emma has extensive nationwide experience of implementing LSTF projects. She is a highly proficient Project Manager with national and international experience in the design and delivery of Personalised Travel Planning projects demonstrating modal shift of between 17 and 34%. Emma has been seconded into Cheshire West and Chester Council as Smarter Travel Officer as part of LSTF team to deliver the itravelsmart programme since 2014. Her most recent experience is in the monitoring and evaluation of LSTF programmes including the across the Warrington and Cheshire LEP area. Jenny Hawkes has worked for Nottinghamshire County Council for over 10 years. After graduating with a BA (Hons) in Tourism, Jenny joined First (bus company) on a graduate scheme where she spent time working in the different departments of the business, including gaining her PCV licence! Jenny Corbett has worked as a Sustainable Travel Officer at Centro for over 3 years to support businesses and their staff to encourage smarter travel options to work. She works with some of the largest and most varied businesses in the West Midlands, including Jaguar Landrover, nPower, Birmingham Business Park, Solihull Hospital and Resorts World (a new entertainment complex with a casino, shops, spa and bars). As the marketing lead for the business team at Centro she has worked on a number of high impact campaigns and messaging throughout the year to appeal to a diverse audience. I have worked in Bath and North East Somerset for 8 years; have an undergraduate in Psychology and previous experience working as a journalist for local newspapers. The Local Sustainable Transport Fund was the ideal opportunity to combine this skill set to support behaviour change through engagement, marketing and infrastructure. The cycle hire project we re-booted in central Bath took all of these elements into account when specifying and marketing a product that tidily slotted into the local niche we identified. As I prepare my dissertation proposal for an Msc in Transportation Planning it is perhaps no surprise that Cycle Hire is the main focus. John Baverstock is a Senior Research Officer at the Department for Transport (DfT). He joined DfT’s Social and Behavioural Research Team in October 2015, and is leading on the development of the Climate Change and Transport Choices Segmentation that groups adults on the basis of their attitudes and self-reported transport behaviours. Before joining DfT, John was a researcher at the Ministry of Justice, the Foreign & Commonwealth Office and the Central Office of Information (formerly an executive agency of the Cabinet Office). John is a member of Government Social Research (GSR). Keith started working with Car Clubs in 2008. As Head of Locations he manages several partnerships with councils and transport authorities and has participated in numerous car club tender and procurement processes over the years. As part of the City Car Club Senior Management team he played a role in the acquisition of City Car Club by Enterprise Rent-A-Car and is involved in the car clubs integration to the Enterprise Rent-A-Car operation across the UK. Lisa Bloomer is a Managing Consultant and specialist in travel demand management. Lisa has over 11 years of experience in transport planning, specialising in influencing travel behaviour and travel planning. Lisa is currently involved with LSTF projects for Hampshire, Cambridgeshire and Slough local authorities. Kalina Soltys is a Project Manager in the Automotive and Intelligent Mobility team at Transport for London (TfL). Her current focus is on Connected and Autonomous Vehicles and their potential impacts on London’s roads. Kalina coordinates the London Automotive Forum, which provides the automotive sector with a channel into TfL to discuss the current challenges facing London. Kalina previously worked in the Business Engagement team at TfL where she led on promoting car clubs to the business community. Prior to joining TfL, Kalina worked on travel demand management initiatives at the regional transport authority in her native Toronto, Canada. Kalina holds a Master of Arts degree from the University of Toronto and has co-authored several journal articles on the behavioural aspects of carpooling. Maria has a BA Hons in Cartography and Computing and has over 12 years experience in working within the sustainable travel industry. Maria has experience in advising PTE’s, Local Authorities, Bus & Rail Operators and Corporate Businesses on how to effectively promote their sustainable travel initiatives. Maria joined Pindar Creative back in 2008 and has responsibility for a wide range of clients including Transport for London, National Transport Authority, Centro and major Bus Operators and Local Authorities across the UK. Maria has also been involved in producing venue maps for major sporting events in the UK. Mark Le Page is a Product Manager at Ordnance Survey who is responsible for their network portfolio. Mark has been working within the network portfolio team for over 10 years with a wide range of customers across government and commercial organisations. More recently Mark has been working closely with the Department for Transport and the Local Highways Authorities through GeoPlace, to create the authoritative Highways network for GB which collates data from a large range of authoritative sources into one common highways framework. WestTrans is a partnership of the six west London boroughs. We work with Transport for London to identify, develop and implement transport projects to the benefit of the sub region. Nicola’s role is to strengthen engagement with the NHS, HE/FE institutions and faith and community groups across West London to manage travel demand. Nicola specialises in travel demand management and LSTF programme delivery. Nicola is currently working on LSTF projects in Hampshire and Cambridgeshire, and previously worked on Luton and Central Bedfordshire’s residential and business PTP project. Rebecca is a Transport Planner at Jacobs, based in the Exeter office. Rebecca is responsible for technical project delivery across a range of specialisms with a focus on sustainable travel and behaviour change. Having worked previously as the Travel Plan Coordinator for the University of Exeter, Rebecca has worked on projects which range from travel demand management and workplace travel plans, to event organisation and stakeholder engagement. Currently leading a number of LSTF social marketing projects on behalf of Devon County Council, Rebecca is passionate about travel behaviour change and the role of social media in engaging with new audiences. Ross joined the company in 2007, and works for both local authority and private sector clients. Ross has extensive experience in sustainable development, planning and research, and specialises pedestrian environments and sustainable travel. He currently reviews Travel Plans submitted in support of planning applications, and acts as field work team leader on Personal Travel Planning (PTP) projects. PTP work with Leicestershire won the ‘Sustainability’ award at the Chartered Institution of Highways and Transportation (CIHT) Awards 2014, and was commended under the ‘Effective Partnerships’ category. Ross has worked with Midlands Highways Alliance partners on transport planning projects; including Transport Assessments, Travel Plans, and walking and cycling audits. Before joining the company, Ross worked for the Transport Research Laboratory (TRL), contributing to the Manual for Streets and the development of the Pedestrian Environment Review System (PERS2). Preceding this, Ross completed his Masters Degree from the Institute of Transport Studies, University of Leeds. Ryan is a Transport Planner and Project Manager in the Atkins ‘Cities and Spaces’ business and also leads the Atkins wayfinding team. His experience spans a wide variety of development, regeneration and public realm projects, with a particular focus on smarter travel initiatives and promotion of sustainable modes. Ryan’s particular area of expertise is wayfinding and he has led the implementation of many city and county-wide schemes with local authorities in recent years. He has been the Atkins Project Manager for Peterborough’s CycleFriendly project and is looking forward to discussing it with delegates during the speed learning session this week. Steve Craddock is a Principal Policy Officer for Transport, Environment and Infrastructure at London Councils. Steve joined London Councils, a membership organisation that represents the interests of the 33 local authorities in London, in January 2015. He works on a wide range of policy areas for London Councils, including sustainable transport, air quality and ULEV uptake. He worked with TfL, GLA and London boroughs on the successful London Go Ultra City Scheme bid. Prior to joining London Councils, Steve was a Planning Policy Team Leader at Sevenoaks District Council, where he worked on planning and transport planning matters. Steve is a member of the Royal Town Planning Institute. Dima is a consultant with Arcadis. She trained in transport planning in Sweden, and worked at the EU Commission, DG Mobility and Transport (Move) in Brussels before joining the Arcadis transport planning team. Dima is currently undertaking a key role on an EU-funded project (www.EVIDENCE-project.eu) which has identified the economic benefits of 22 different types of sustainable transport schemes and initiatives working with leading international specialists in sustainable transport. The research has explored a wide range of demand management initiatives, including the innovative use of smarter travel techniques to incentivise effective travel behaviour change. Gerard is the ITS Technology Director for Rennicks Group. Gerard is a Chartered Engineer, with a Masters in Electronic Engineering. During his 15 years ITS experience, Gerard has worked on a multiple of ITS systems and projects in relation to the roads, light rail and heavy rail environments; operating in a number of capacities including consultant, clients representative, maintainer and contractor. Mark has a passion for and significant experience of delivering community led public realm projects. He uses his training in landscape architecture, project management experience and community engagement skills to enable partners, other professionals and communities to re-imagine and shape the urban environment. He has developed expertise in delivering temporary interventions both on and off the carriageway, which adds an innovative interactive dimension to community engagement. Mark’s expertise in psychological traffic calming and significant knowledge of place making principles is also invaluable when developing community led design proposals. Peter Vermaat is a Principal ITS Consultant at TRL. He has over 25 years’ experience in the electronics, communications and intelligent transport businesses, including research and development, product development, systems engineering, integration, test and operations. His principal areas of expertise are in the fields of Cooperative Systems, Road User Charging, and more recently in Low Carbon Vehicles. He has been the technical lead in a number of Cooperative Systems projects for both the EC and Highways England in the UK, most recently in a project investigating the benefits that European road authorities could derive from the use of Cooperative applications. He is currently TRL’s technical lead in a project investigating the feasibility of providing connectivity on road corridors on the UK’s strategic road network. Caroline has worked for Fyne Futures (Car Bute) for 4.5 years, she came into the 3rd sector after 24 years in Banking, prior to that having achieved a Degree in Home Economics and Post Grad in Primary Teacher Training. So quite a varied range of careers. Caroline is married to Duncan and lives on Bute. She has two children , and runs a charity Calums Cabin in her spare time. Fyne Futures is a Social Enterprise on the Isle of Bute, who were primarily a recycling centre, now having Car Bute incorporated, a market garden (Bute Produce) and Re-style a re-used furniture store and shop. Car Bute has been running for 4.years and is the only car club on the Island, the car club now has 2 new cars, one manual and one hybrid, with membership over 150 members, varying from Full time members, temporary members, corporate members and community group members. Jo is a Project Coordinator at Red Bull Racing, working within the Infrastructure Team delivering a variety of improvement projects in order to create and maintain a high standard of facilities to enable all functions and staff to perform at their best. Travel planning has become a key aspect within this role; with 650 staff working many shift patterns covering 24/7 along with regular contractors, tour groups, visitors and VIP’s attending the site, it has become paramount that all traffic is properly managed to reduce congestion for all. Jo represents Red Bull Racing at the Tilbrook Travel Hub and at quarterly Steering groups held by Smartgo. Internally, she holds staff travel forums on cycling to work, car sharing and public transport. She also coordinates travel surveys to identify improvements on site to get the highest level of engagement. In leading the reduction of single car occupancy on site, Jo sets an example by car sharing into work. Max Jowett has been delivering Wheels 2 Work Programmes for 15 years in Devon, in 2013 the opportunity arose to deliver a brand new scheme in East Sussex. The programme was funded by the Local Sustainable Transport Fund administered by East Sussex County Council and went through a competitive tendering process. East Sussex Wheels 2 Work was set up as a Social Enterprise from day one with the express intention of achieving financial sustainability. During its first year of operation it was so successful that it won the accolade of Social Enterprise of the Year in the ‘Sussex Oscars’ (Sussex Business Awards). 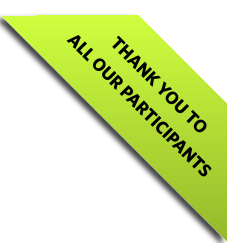 The programme grew incredibly quickly exceeding all expectations and was undoubtedly driven by the years of development behind the parent programme based in Devon. The Devon programme provides support and expertise on a daily basis and provided the staff training and all associated business systems to ensure that the new business hit the ground running. Three years on the programme is doing well, it has hit all of its financial targets and is progressing well within the original five year business plan. We are currently running at around 60% financial sustainability but still rely on financial support for at least another two years. Since May 2015 Richard Scott has been the Chairman of the Smartgo network in Milton Keynes. Firms involved in the network include Volkswagen Financial Services (VWFS), Red Bull, Santander, Network Rail, Open University, Milton Keynes Council, and Trek Bikes. Ricard has worked for VWFS for the last 26 years, where he has held roles both in the UK and Internationally. Richard’s current role is the Chairman of the Employee Forum where his key role is to ensure an effective relationship between colleagues, management, directors and stakeholders. He has worked on the development of an employee electric pool car scheme which is currently successfully operating around Milton Keynes. Richard also manages relationships with key charities including Willen Hospice, Macmillan Cancer, Keech Hospice, Age UK Milton Keynes and BEN (Motor and Allied Trades Benevolent Fund). A keen advocate for Smartgo Richard understands its blend of mobility and sustainability as key for Milton Keynes as it develops. He was previously a professional skier and a very keen cyclist. Colin has worked in transport sector for over 35 years. He is currently Group Manager, Strategic Transport at Bristol City Council, where his responsibilities include the formulation of strategic transport policy and acting in a client role for a number of major transport projects. Prior to joining Bristol City Council, Colin worked for Bath & North East Somerset Council, leading projects including the LSTF and the CIVITAS European project. Colin has also spent many years in the private sector, working in a number of roles for First Group, including the post of West of England Commercial Director. Craig founded carbon heroes in 2007, specialising in the technology, promotion and engagement of car sharing. Craig's background encompasses software development, sales and marketing, business evangelism, strategy and general management.Craig joined the board of Act TravelWise in 2012, as the Executive Committee member for Marketing and Membership and is a founding member of the Carplus working group for standards in 2+ car sharing.